The air purifier. In my 11/18/18 posting “Randy Blue purifies the air”. Anchor Hocking Company is a manufacturer of glassware. The Hocking Glass Company was founded in 1905 by Isaac Jacob (Ike) Collins in Lancaster, Ohio, and named after the Hocking River. That company merged with the AnchorCap and Closure Corporations in 1937. From 1937-1983 the company operated the oldest glass manufacturing facility in the United States, established in 1863, in Salem, New Jersey. Anchor Hocking’s wine and spirit bottles are crafted at a factory in Monaca, Pennsylvania. It also had facilities in Elmira, New York, and Streator, Illinois. … The company was a major producer of Depression glass. The first glassware produced as Anchor Hocking Glass Company was Royal Ruby in 1939. 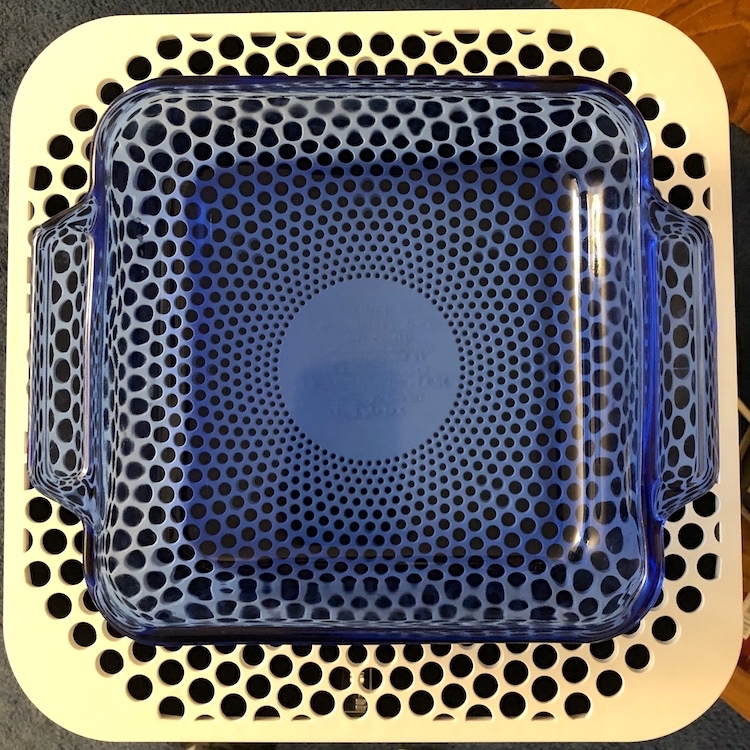 In addition, Anchor Hocking produced Forest Green Glass, Fire-King and Anchor Ovenware. 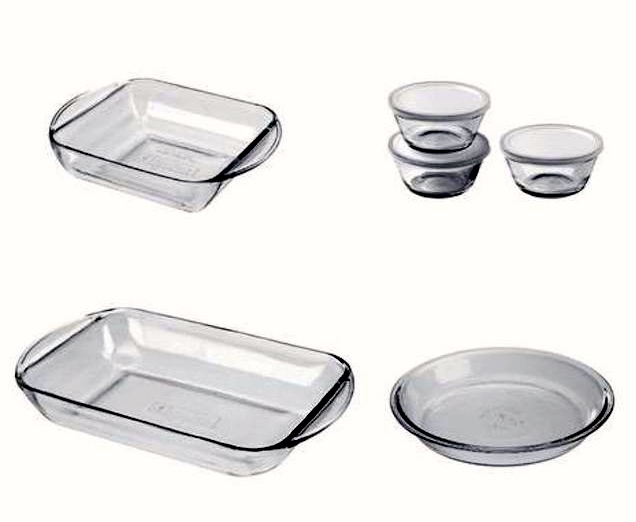 The handles on the baking dishes are positioned and weighted for easy handling. Still contemplating all-prune and something with dried cranberries. This entry was posted on December 26, 2018 at 10:39 am and is filed under Design, Language and food. You can follow any responses to this entry through the RSS 2.0 feed. You can leave a response, or trackback from your own site.